A duration estimate (also called time estimate, task length estimate) is a property you can add to a task that describes how long you think it will take you to complete a task. 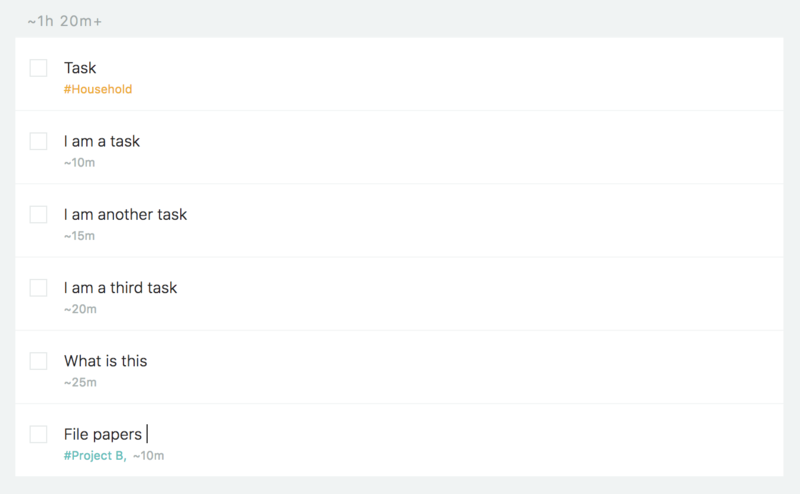 The only way to add a time estimate to a tasks is via a task input shortcut. Use the shortcut ~ or ca. followed by the time estimate (e.g. 5m, 20m, 1h etc.) 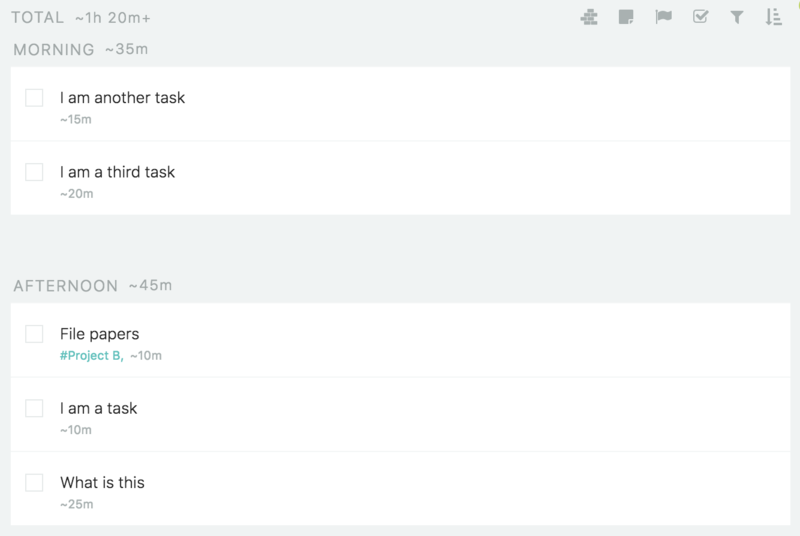 either during tasks creation or afterwards while editing the task title. To edit a task title, click on the title to highlight the entire text and then click again or use the arrow keys to position the cursor. For Marvin to recognize the time estimate make sure there is a space before and after the estimate. At the top of your daily list you will see the total for your tasks estimations. If not every task in that day has a time estimate there will be a plus at the end of the total to tell you that the actual total is even higher than what is displayed. If you are using sections to organize the tasks in your day, you will get a separate estimation total for each section and the overall total at the very top.